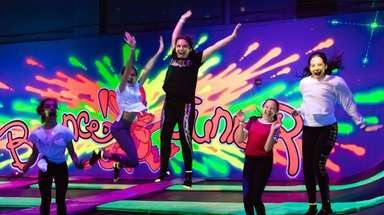 As Long Island enters the final countdown to Christmas, accomplishing those final must-do tasks — preparing the roast, baking the cookies, wrapping those last presents — can distract parents from family time. But these easy ho-ho-homemade craft projects can be squeezed in without much fuss. 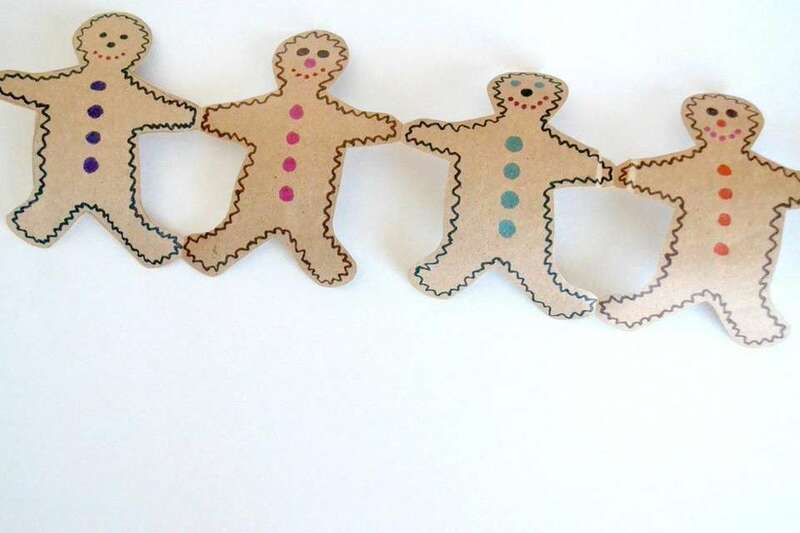 Here are five last-minute activities suggested by craft bloggers, from Gingerbread Men Paper Dolls to Snowflake Window Clings that can be made with items already around the house or quickly purchased at a craft shop. Directions:Cut a wedge 1/4 the size of the paper plate out of the plate. Roll the remaining plate into a cone shape and seal with tape, keeping the tape on the inside of the cone. Paint the cone green. After the paint dries, glue on pom-poms. For more photos of the craft and other holiday craft ideas, visit creativefamilyfun.net. Directions: The longer the piece of paper, the better the chain of paper dolls. A roll of brown wrapping paper works well. Cut long strips of wrapping paper the height of the gingerbread man cookie cutter. Then, measure the width of the cookie cutter and fold the strip horizontally accordion-style exactly or close to the width of the cookie cutter. With paper still folded, place cookie cutter on top and trace outline. Keeping paper folded, cut around the traced lines -- but because the arms need to stay connected, don't cut around the hands. Then, unfold the cut gingerbread man chain; if you want a longer chain, tape a few together at the hands. Decorate with crayons or markers. For more photos of this craft or for more holiday craft ideas, visit creativefamilyfun.net. 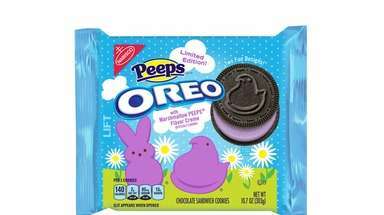 Directions: Preheat oven to 375 degrees. In mixing bowl, whisk flour and salt, then add warm water and stir. If too much water, add more flour and vice versa. Dust baking sheet with a little flour and roll dough to about 1/8-inch thick. Use small bowl as template to make round shapes. 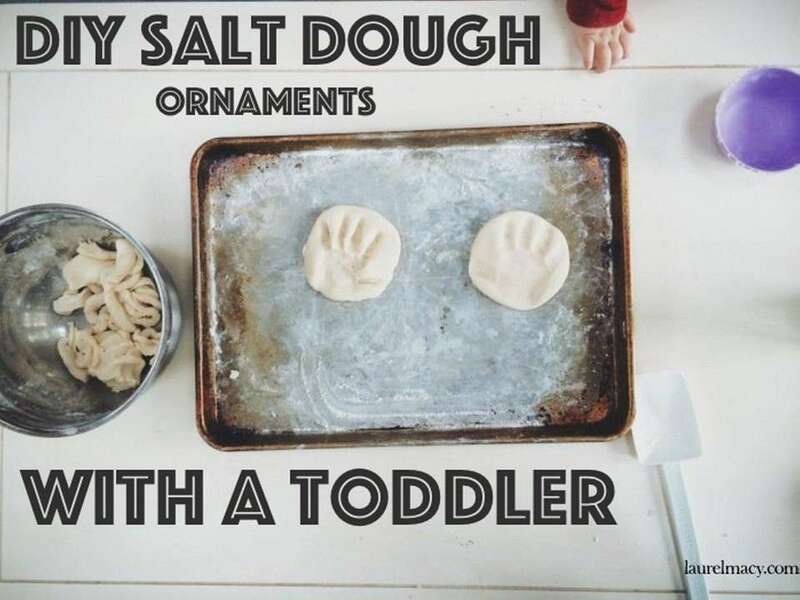 Push child's hand into the dough. Use a straw to make a hole near the top of the circle. Bake for 45 minutes. When cool, string with ribbon and hang. For more photos of this craft and other holiday craft ideas, visit laurelmacy.com. Directions: Mix oats and sprinkles in a gallon bag. Spoon into smaller bags, tie with a twist tie or ribbon and attach poem tag. Share with neighbors, and don't forget to sprinkle on your lawn on Christmas Eve. Here's how the poem goes: "Sprinkle on your lawn at night, the moon will make it sparkle bright, as Santa's reindeer fly and roam, this will guide them to your home." For a free download of poem tags, as well as more holiday ideas, visit todayscreativelife.com. Directions: Cut the zippers off the freezer bags -- they will only get in the way. Slide each template into a freezer bag, making sure paper is all the way to the end of the bag and tape it to the bag so it won't slide around. 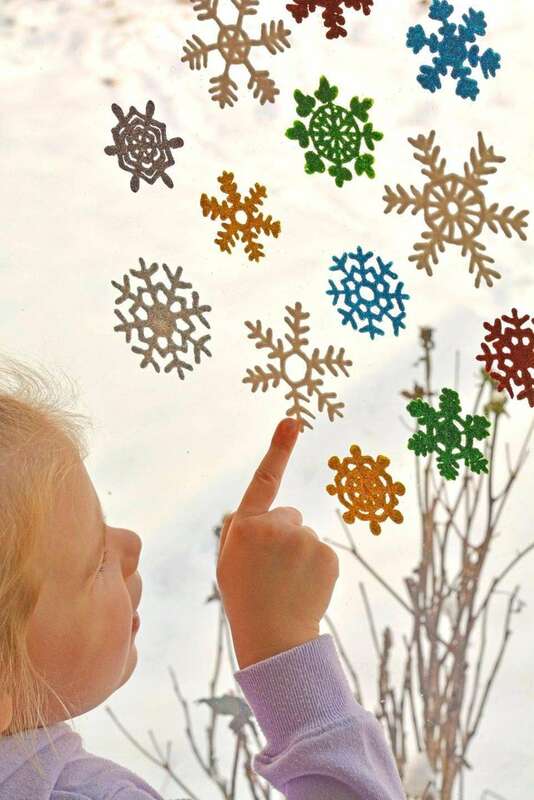 Use puffy paint to trace over the snowflake shape on the template -- be generous with the paint or the clings won't peel off. If adding glitter, now's the time to shake it onto the paint. 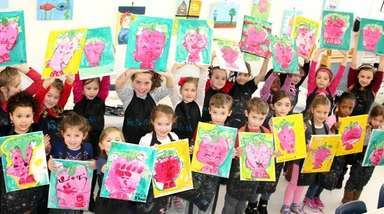 Kids can also draw on the plastic bags freestyle. Put the shapes aside for 48 hours to dry completely. Then, peel them off the plastic bag and place on windows. If it's difficult to peel them off, put them into the refrigerator for a few minutes and then try again. For printable snowflake templates, more photos of this craft and other holiday craft ideas, visit onelittleproject.com. Directions: Dip sole of child's foot into brown paint, then press onto white paper. Print many feet, because footprints don't always work the first time, then choose the best one. 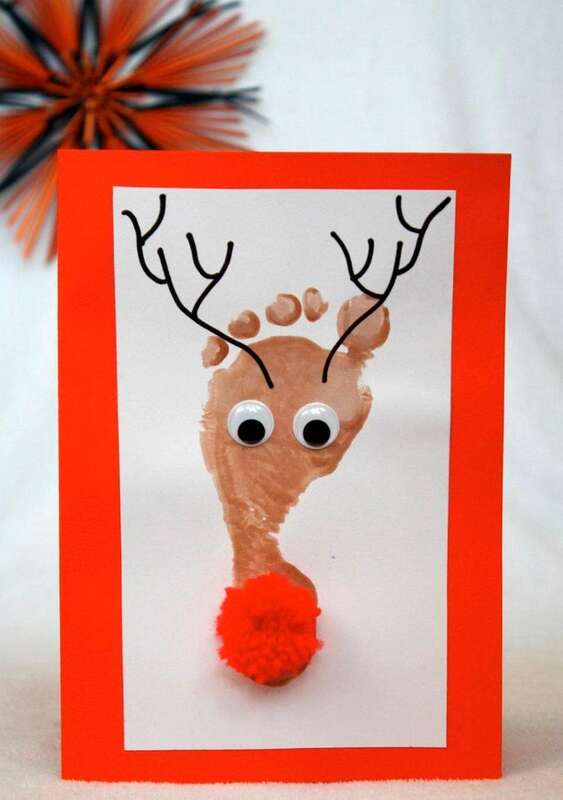 Let footprint dry and then create the face by drawing on two antlers and gluing on googly eyes and red pom-pom. 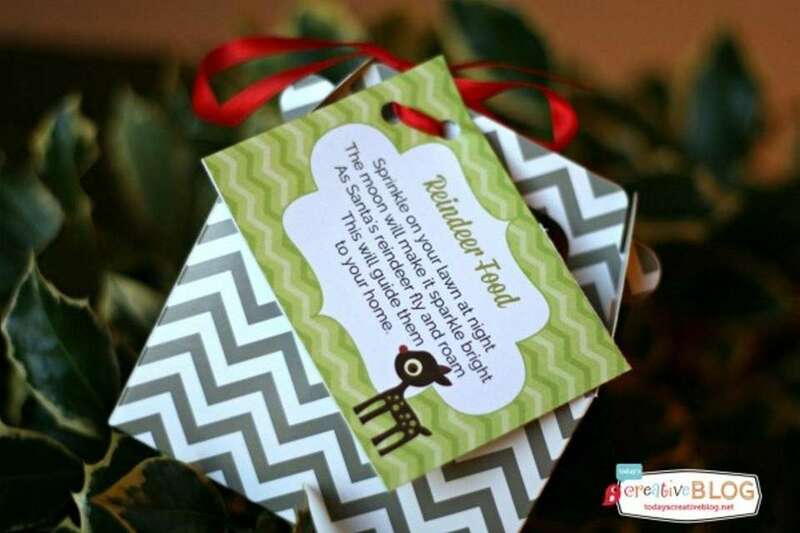 Glue footprint reindeer onto a red card background. For more photos of this craft and other holiday craft ideas, visit emmaowl.com. Directions: Unwrap Rice Krispie Treats. "The ones you buy in packages are really firm and stay whole when you put a Popsicle stick in," says treat creator Blair Lonergan, a blogger from Virginia. 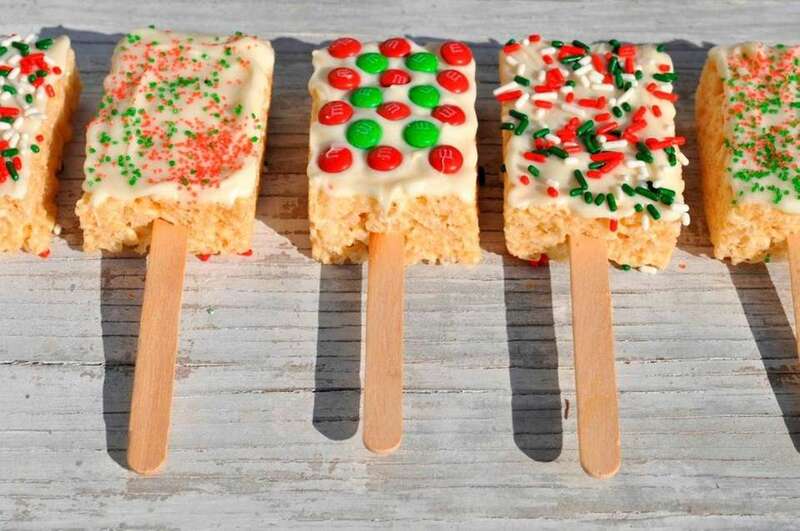 Place one Popsicle stick in each treat to make pops. Place pops on wax paper. Melt white chocolate and brush warm chocolate onto top side of each treat. Lonegran prefers using melted chocolate because when it cools it hardens, and then the treats are less messy to store and eat. Decorate with M&Ms and sprinkles and pop in the refrigerator. "Anything on a stick is an automatic hit with a preschooler," Lonegran says. 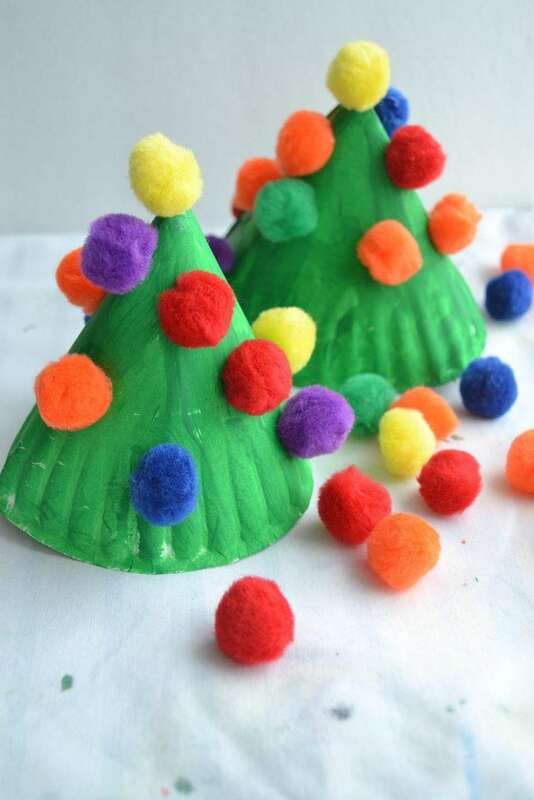 For more photos of this craft and other holiday craft ideas, visit theseasonedmom.com. Directions: Glue three Popsicle sticks into a triangle. Set aside to dry. 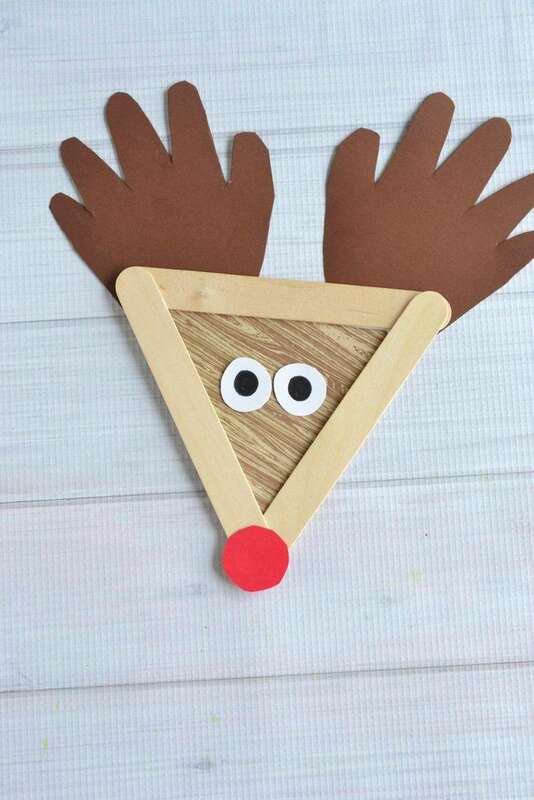 Cut a triangular shape from the brown construction paper that will be placed within the stick design and be the face of the reindeer. Also trace and trim child's hands on brown cardstock to create the reindeer's antlers. Cut out some eyes and an iconic red nose out of cardstock. Glue eyes, nose and handprint antlers in place. For more photos of this craft and other holiday craft ideas, visit gluedtomycrafts.com. Directions: Line the baking pan with aluminum foil and spray with cooking spray. Prepare brownie mix as directed, bake and let cool completely. Remove brownies from pan and cut into triangles by cutting into three rows, then alternating diagonals. Unwrap candy canes and use sharp knife to cut candy canes into 1.5-inch-long pieces. Press the sharper end of each candy cane into the bottom of each brownie triangle. Spoon half of the tub of icing into a bowl and mix in green food coloring to preferred color, then spoon green icing into a plastic sandwich bag. Seal bag and cut off small corner of bag with scissors. Starting at top of each brown triangle, gently squeeze out icing in a curvy zigzag going horizontally down the tree. Add sprinkles and star. 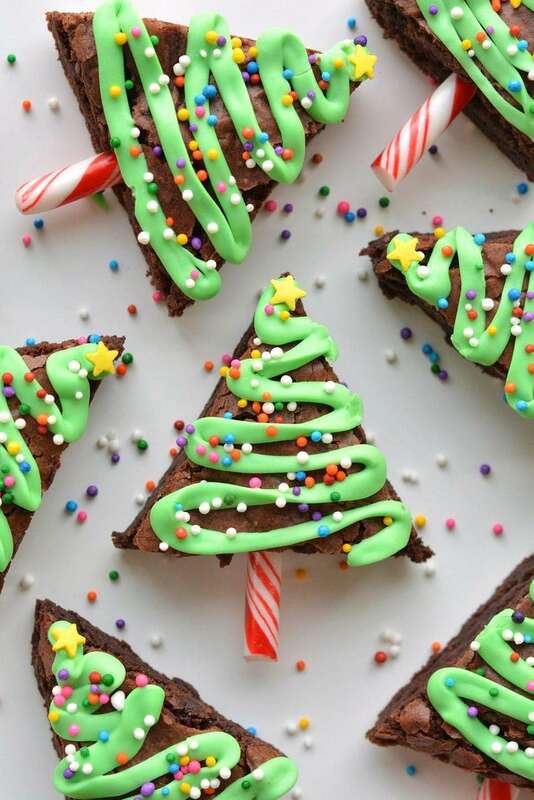 "I like taking food and turning it into a craft," says Debbie Chapman of onelittleproject.com, who based the Christmas Tree Brownies on a Betty Crocker recipe. For more photos on this craft and additional holiday craft ideas, visit onelittleproject.com. Directions: Fill Pyrex dish with rice. Have child "plant seeds" -- placing the peppermint candies and jellybeans underneath the rice. Place the dish under the Christmas Tree on Christmas Eve. 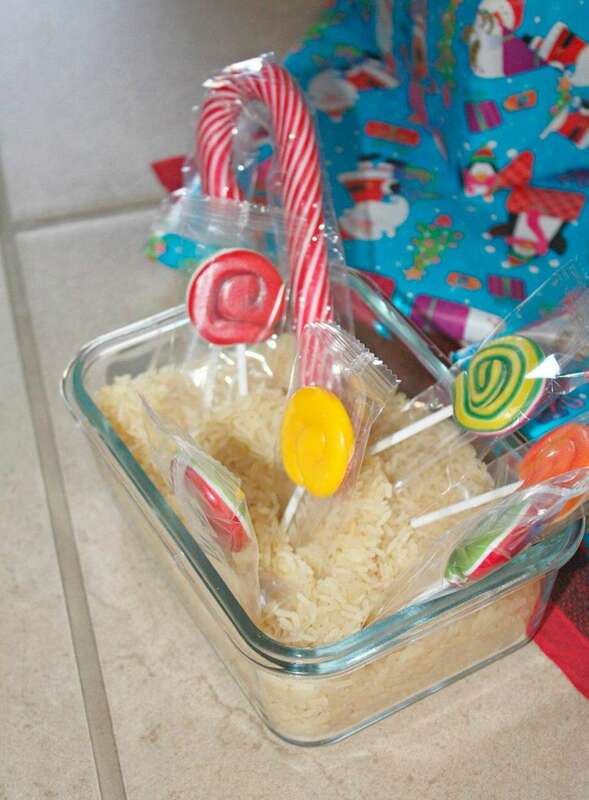 While child is sleeping, replace peppermint candies with equal number of candy canes sticking out of the rice, and replace jelly beans with equal number of similarly colored lollipops sticking out of rice. Kids can "pick" the items they've grown on Christmas Day. For more photos of this craft and other holiday activities, visit emmaowl.com. 'Scared of Santa' photos through the yearsNot everyone is happy to see Santa. Click here to submit your "Scared of Santa" photos. 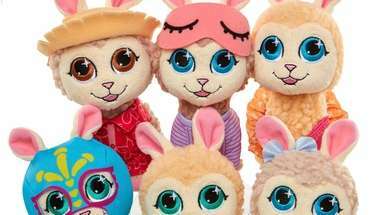 21 ways to enjoy the holiday season on LIWhatever holiday you celebrate, one thing's for sure — there are plenty of events for families all season long. Creative Elf on the Shelf ideas from LI parentsElf on the Shelf has become a holiday tradition for many Long Island families.